With our industry diversifying into SUV's, Sprinters, Party Buses, and Coach's... it's almost impossible to keep enough inventory in stock, to accommodate everyone. Due to this viable client feedback, we have had numerous conversations about creating an effective Marketplace that would produce results when "buyer and seller" come together. It had to be Inexpensive, User Friendly, and Coast to Coast. Our goal at WeSellLimos.com is to create an environment that gives "sellers" Maximum Exposure at a minimal price. We offer the most "incentive driven" Advertising Packages, that can not be equaled! Our industry relationships enable "buyers" to Deal Direct with our advertisers without a "third party" headache. We also understand the importance of offering the owner of a Large Fleet, Dealers, and Coach Builders a way to market numerous vehicles at a Tremendous Discount. Our team of experts are ready to assist you. Being located on both the East & West Coast gives us the true pulse of our industry. Join the WeSellLimos.com family and you'll discover the Many Advantages! Team W.S.L. 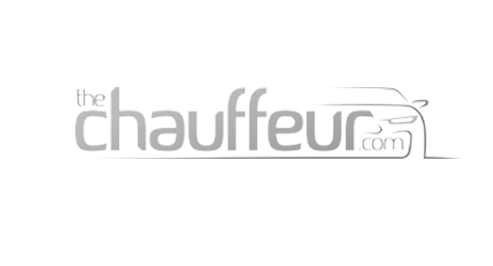 has earned the respect from the commercial transportation industry. Having over 30 years of combined long-standing relationships, we are in a position to provide you with beautiful vehicles, creative financial groups, and professional transport companies. 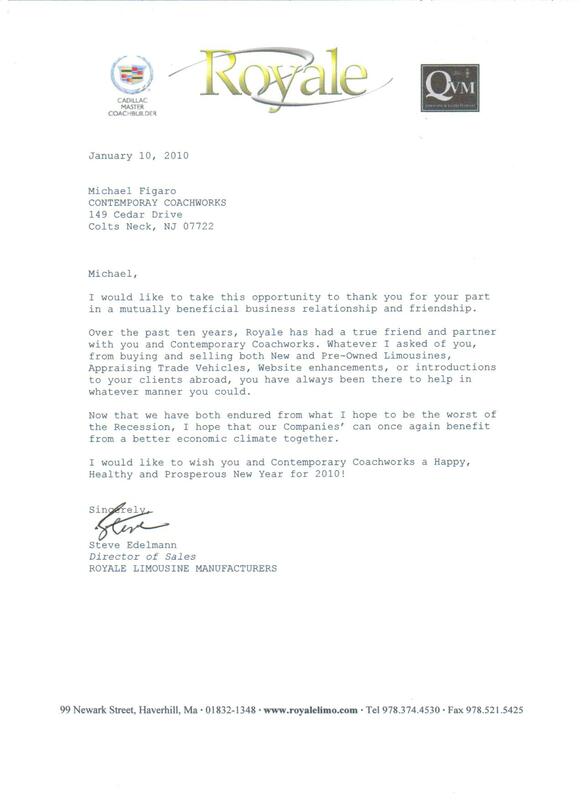 Our supreme customer service & support, is the cornerstone of our organization. WeSellLimos.com is sincerely grateful for every customer that contacts us. We understand, and analyze the nuances of every client by doing so; this creates the most positive, purchase experience. In addition, we'll make sure you achieve your company's budget goals because we know that every successful business requires sound, financial management. Perhaps you're not sure about what precise mixture of vehicles, is needed to support your successful operation. We will apply our experience, to help you come up with limousine options, which fit your clientele. 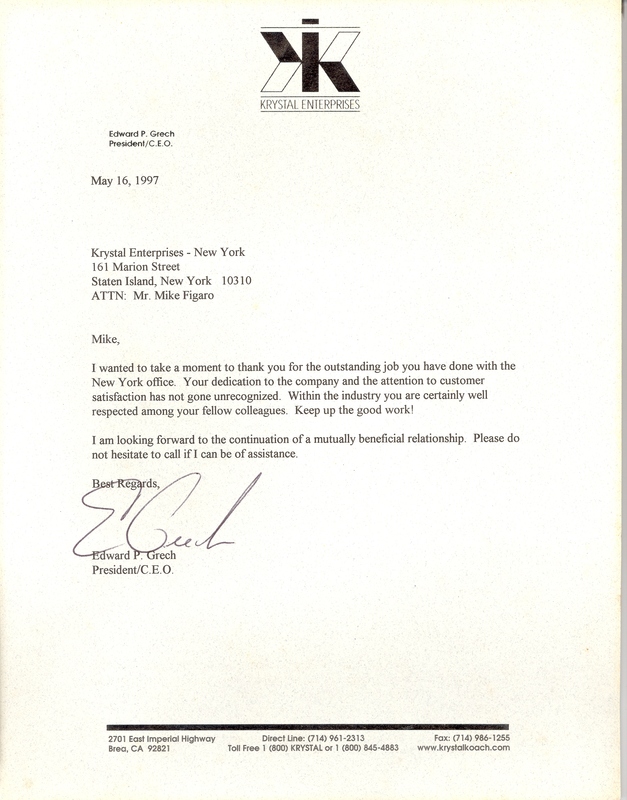 When the owner of WeSellLimos.com, Michael A. Figaro purchased his first limousine in 1987 from John Beck, the Vice President of Krystal Enterprises he had no idea that it would set him off on the path that it did. Since that time there have been many ups and downs in the limo industry, including the fateful events of 9/11 that actually shut down over 50% of the NY based owners/operators of limousines. At that point, Michael had already been running the world's largest limousine sales and service facility, which opened in 1996 in New York for Ed Grech, the owner and CEO of Krystal Koach. This New York facility grew to become almost as large as Krystal's CA headquarters in just 2 years. After 9/11 though, it became inconvenient to even drive a limo in NYC. By the time this passed, the damage had already been done, and Michael had the forethought to expand his sales business to Europe, with a stong focus on the UK where he was called 'The First American'. Today, WeSellLimos.com carries a very large and varied inventory of Exotics, CEO Stretches, and Traditional Limos. If you don't see it in our inventory, just drop Michael an email. Using the contacts he has developed over the last 3 decades, he will surely be able to find it for you. Thanks again for visiting WeSellLimos.com.